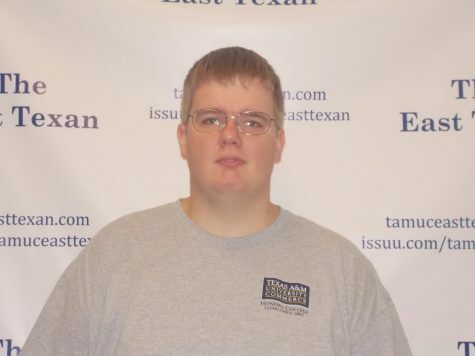 Todd has been working for The East Texan since Fall 2015, and he served as the Web Editor for The East Texan website for the 2016-2017 year. As of the 2017-2018 year, he was the Co-Editor of the newspaper alongside Imogené Wofford. He has designed the layout of the LSC page of the newspaper since 2016 and the front page since 2017. He is an English/sociology major with a journalism minor and is also a member of the Honors College. Todd's career goals are to go into designing for a publishing company or a newspaper. On a personal note, Todd enjoys family, food, and YouTube and hopes to visit the United Kingdom at some point.